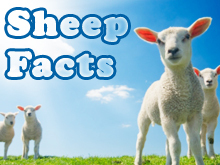 Christmas Trivia: How Much Do You Know About Sheep? Ask these trivia questions to learn more about sheep and the shepherds that were watching their flocks on that first Christmas night. How did you do? Now you can call yourself a sheep expert.